Unlike the downtrodden accused on Dateline, Kid Cann (given name Isadore Blumenfeld) had no qualms whatsoever about taking the stand in his own murder trial. That several other witnesses fingered him for gunning down prominent newsman Walter Liggett, didn’t seem to deter him either. Only a few steps away, Cann was unfazed, chewing gum nonchalantly. He looked like a bad guy right out of Central Casting, with broad fighter’s nose, swarthy complexion and slicked-back banker’s hair style. On the other hand, he may have been the best dressed man in the courtroom. His posh three piece suit was set off by diamond cuff links and perfectly matched silk pocket square. 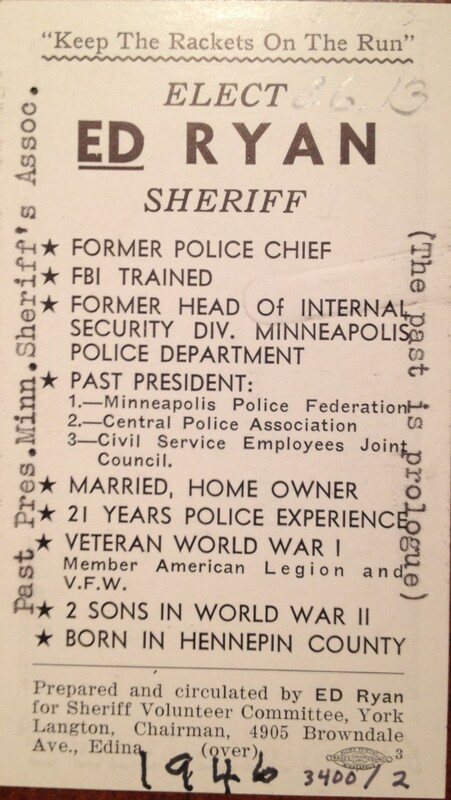 When it was his turn to testify, The Minneapolis Star reported that his answers were quick and decisive. His lawyer Thomas McMeekin swooped in for the lynch pin linking him to the machine gun killing of the prominent publisher of the Midwest American. “Not a thing in the world,” he declared. Cann’s penchant for meticulous grooming would prove crucial in the trial. He revealed a solid alibi, stating that he was in a North Loop barber shop getting a haircut at the time of the murder. And that report was corroborated by a number of witnesses. The jury was out less than 90 minutes and his acquittal made national headlines. 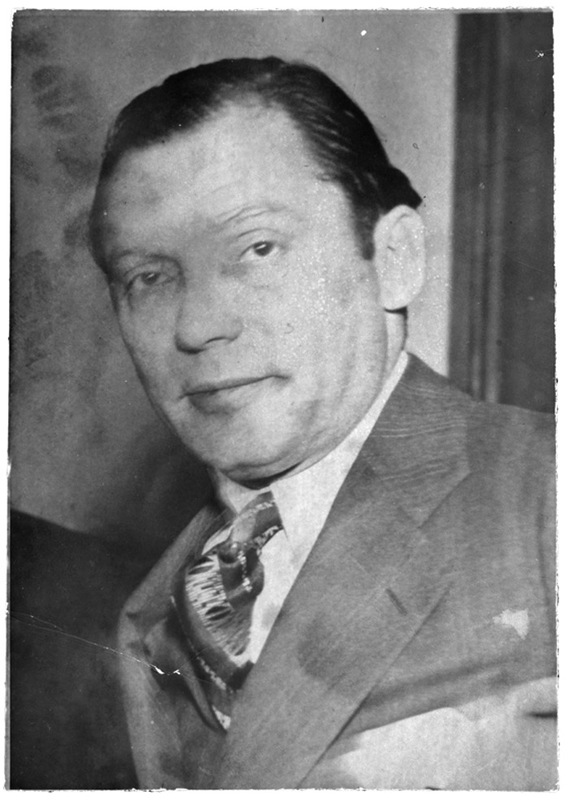 By 1952, Kid Cann was called the Godfather of the Minneapolis underworld by the FBI. 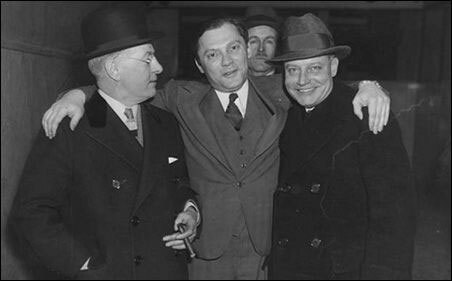 He made millions bootlegging moonshine from Cuba and Canada during Prohibition and parlayed that into a network of as many as ten family-controlled liquor stores across Minneapolis. He had dodged 3 murder charges and been arrested 25 times, yet served only one prison sentence of three years for jury tampering and extortion. Kid Cann found his operations under increasing legal scrutiny when Hubert Humphrey was elected Minneapolis Mayor in 1945. Gangsters such as Cann and his partner Tommy Banks maintained cozy relationships with the police force and had enjoyed relative freedom to run gambling and prostitution rings out of downtown bars. For his part, Humphrey ran on a platform to clean up the city and its police force. When a local gangster associate of Cann’s, “Chickie” Berman met with the newly-elected Humphrey, the tone was set. Humphrey delivered on his commitment to rid the city of corruption but it wasn’t easy. Returning home one evening, his wife Muriel unlocked the door just as a shot rang out in the darkness. Wisely or not, Humphrey scoured the bushes to find the culprit — without success. His immense bipartisan popularity propelled him to a U.S. Senate bid by the middle of his second term. He won election and began his ascent to the Vice Presidency in 1964 and a narrow election loss for the Presidency in 1968. It is important to note that one measure that he was not able to push through the city council was reform of the city’s liquor licensing. By law a citizen could only hold only one license — but Kid Cann’s secret network of 9-10 stores continued to operate lucratively for many years. When my parents ran into Kid Cann in the early Fifties, he was pursuing more “traditional” investments. His headquarters was the corner of 16th Street and Nicollet Avenue South at the Flame Night Club. The Flame was an unlikely hangout for Kid Cann because it was a hot spot for national country western music. The Flame featured a distinctive raised dance floor and live bands performing in the front and back bars. And like many of his businesses, Cann controlled it through a clandestine maze of loans and unwritten operational agreements with relatives. While my parents were clamoring to the club to see Nashville royalty such as: Carl Perkins, Roger Miller, Justin Tubb, Wanda Jackson, Marvin Rainwater, Roy Acuff and Tex Ritter; Kid Cann had more pressing business on his mind. He met many times with Charles Green, aspiring executive at Twin City Rapid Transit (TCRT). Green was courting investors so that he could gain equity control of one of the nation’s most efficient street car systems. Pitching Cann did not come without its risks. When a pinball investment with Eddie Holman went south in 1949, the Minneapolis Morning Tribune reported that Holman was beaten up on his next visit to the night club. At the time of Cann’s TCRT meetings, the Twin Cities rail system boasted more than 1,000 cars and 523 miles of track. Consider that today, Metro Transit is operating light rail over just 23 miles of track. In the meetings with Green, Cann received insider information about an upcoming fare increase that would boost revenues and jumped in to buy a sizable stake in the company. And then to hedge his bet, he became a partner in Mid Continent Development and Construction. With many cities converting their street cars to General Motors busses, Mid Continent stood ready to secure and scrap the thousands of miles of track and equipment at a tidy profit — should TCRT opt to abandon their street cars. To make matters worse, Cann was being investigated by two different prosecuting bodies: the Minnesota Railroad and Warehouse Commission and the U.S. Senate Kefauver Committee on Organized Crime. Cann lamented that he had reformed and wasn’t the same man he was in the Thirties. Cann insisted his income was coming from stocks and bonds in upstanding companies such as Sears-Roebuck, Montgomery Ward and Seagram’s Distilleries. “You don’t hear anybody say those companies are run by gangsters and racketeers just because I’ve got stock in them,” he exclaimed. And with that crescendo, Kid Cann flipped off Minneapolis, claimed he had sold all his businesses and vowed to never come back. 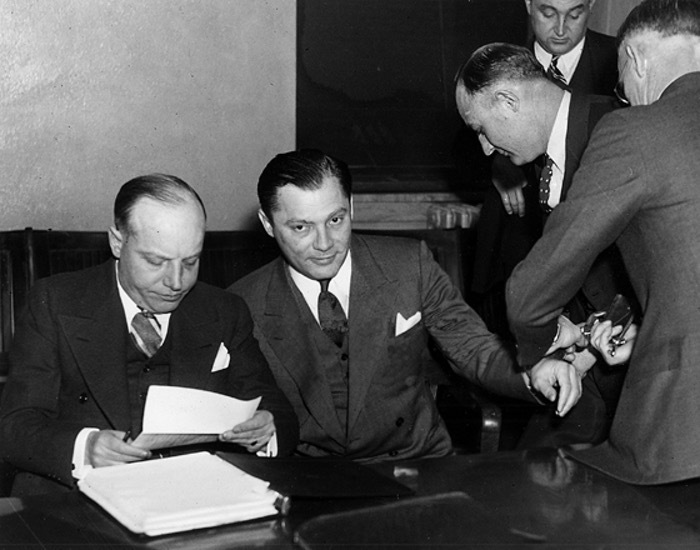 He and his wife flew to Miami and rejoined his old bootlegging buddy, Meyer Lansky. 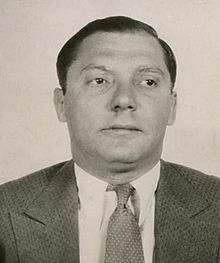 Lansky was dubbed “the Mob’s Accountant” and would rise to become the most financially successful gangster of all time. He owned ‘points’ or shares of the profits in casinos in Las Vegas, Cuba, the Bahamas and London. Lansky welcomed Cann to his enterprise, hell-bent on buying any and all real estate on the northern gold coast of Miami Beach. And when Cann said he had plenty of money, he wasn’t lying. Together they built an art deco gem, The Martinique on the north end of Miami Beach. The 12-story property was designed by famed architect Roy France and boasted one of the first centrally-cooled air conditioning systems in the world. When it sold a few years later, local papers stated the price of $2 million, was one of the highest ever received in the area. Following the success of the Martinique, Cann and Lansky set their sights even higher. They hired another great architect, Morris Lapidus to create his artistic dream, the twenty story Hotel Fountainebleau. His design splashed glamour and fun on to the minimalist lines of the era, launching the hotel as the grandest and most important structure in the region. Celebrities flocked to its unique Miami Modern (MiMo) bars and bow tie- shaped swimming pool. Frank Sinatra moved into the hotel as a permanent resident, and then starred there in his 1959 movie, A Hole in the Head. The following year he filmed a blockbuster television special at the Fountainebleau, welcoming Elvis back from two years of military service. And the same year, the Jerry Lewis comedy The Bellboy was shot there too. Rubbing elbows with celebrities at every turn, it is hard to imagine that Kid Cann was regretting his exodus from Minneapolis. By the mid Sixties, the Minneapolis Tribune reported that Cann and his “Minneapolis Combination’’ real estate syndicate was the largest landowner on the luxurious gold coast of Miami Beach. From Miami Beach, Meyer Lansky looked to expand his empire to Havana, Cuba. On a larger stage than Cann, he was dodging Mafia investigations across the U.S. By joining forces with the Cuban dictator Fulgencio Batista, he was determined to build a safe haven outside the reach of the FBI. In late 1957, he organized millions in bribes and seed money from the major mob families and struck a deal with Batista to build the magnificent Hotel Riviera on the sea wall near Old Town Havana. Again, Lansky developed a massive property, the largest hotel casino outside of Las Vegas. The entire structure was designed with an outdoor tropical atmosphere, accented by an open lobby promenade winding through sunken gardens of brilliant plants and palm trees. The Riviera quickly became the preferred getaway for “A list” celebrities to carouse and gamble outside the spotlight of the mainstream media. During his meetings with Lansky, Cann would have socialized in the rarified company of Ginger Rogers, Abbott and Costello, Steve Allen, William Holden and Ava Gardner. Kid Cann was rich beyond his wildest dreams, living in tropical paradise and partying like a rock star. What on earth could cause him to ever return to Minneapolis? Kid Cann met sultry blond Marilyn Tollefson in Chicago in 1957. Still married and thirty years her senior, he provided cash and jumped headlong into a passionate relationship. Throwing caution to the wind, he drove her back to Minneapolis to become his mistress. For her part, the 26 year-old Tollefson appeared to be smitten with the famous mob boss, showering him with a string of steamy love letters. Once in the Cities, their relationship soured quickly over Cann’s obligations with his wife and his predisposition to flirt with other women. Their arguments escalated and Tollefson claimed that Cann beat her. Cann’s trial would take place in 1960. And just when things couldn’t get any worse for him, they did. Remember all those liquor stores he sold to move to the tropics? Well, it turns out he really didn’t cut all those clandestine family ties after all. While mayor after mayor was ineffectual in rooting out and breaking Cann’s control of numerous stores, the federal government did not hesitate. In short order, Cann, his friends, and his brothers were indicted for illegally holding liquor licenses through shell companies and relatives’ names. The gig was up for Kid Cann. In an ironic twist, Cann ended up getting the white slavery conviction for his relationship with Tollefson, overturned on appeal. The love letters were important evidence that the relationship was more than just prostitution. On the other hand, Cann and his brothers were found guilty of extortion over their liquor licensing network. And toss in a very feeble attempt by Cann to bribe the jury, which was quickly passed onto the FBI — and Cann was sunk. This time Cann’s admission to the judge may have been sincere. Sentenced to seven years hard time at Leavenworth, he was a model citizen and was paroled after only three years. 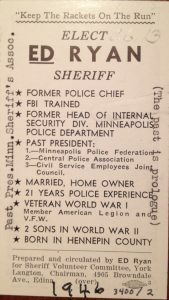 The burning question has to be, if not for his romance with Marilyn Tollefson and return to Minneapolis —would Kid Cann have evaded yet another inescapable jail term? Believe it or not, more than sixty years after Kid Cann’s heyday, you can still discern historic markers from his empire. Just two blocks from my house is the custom home he built on the corner of 59th and Oakland in South Minneapolis. His sister-in-law lived right across the street. It was fascinating to read in the Star that some numskull had the audacity or likely very bad luck to rob Kid Cann’s home in 1952! Cann never had to call the police precinct. He had detectives’ home phone numbers (on speed dial?) and they arrived quickly to investigate the crime. I can’t imagine where that poor burglar ended up. One of Cann’s alleged liquor stores is Minnehaha Liquor on Lake Street. The store is thriving — alive and kicking. The owners trumpet their rich history back to the Thirties, but don’t mention the past connection to Cann, described in several Minneapolis Star articles. Another of his holdings was East Side Liquor which was 507 East Hennepin. If only the building could talk. That long store front was Cann’s regular playground. His daily shave took place at the Artistic Barber Shop between 4th and 5th. Adjacent to East Side Liquor was one of his favorite restaurants, the East Hennepin Café. After Cann left the Cities, the famous and iconic Union Bar took over this building in the Sixties and hosted an unbelievable portfolio of performers including Prince, Stevie Ray Vaughan, the Suburbs, Muddy Waters and Bonnie Raitt. Cann sold most of his TCRT street car stock as soon as the Colliers article hit. 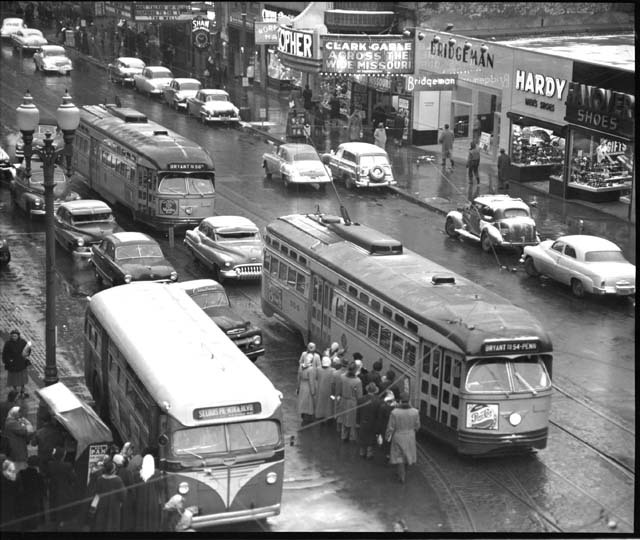 However, he did maintain his scrap company ownership which yielded hundreds of thousands of dollars in profit as the Twin Cities ended all street car service in 1954. 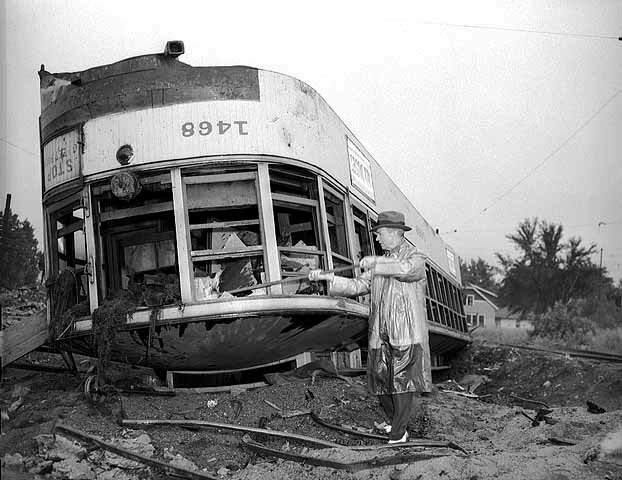 Shockingly the Cities ripped up, scrapped and burned the bulk of its amazing rail system. And of course Cann was indicted for fraud over his efforts. While Green and the next TCRT president, Fred Ossanna were convicted — surprise, Kid Cann walked and was found innocent. For those looking to experience the last remnants of Cann’s street car investment, look no further than the iconic Como-Harriet street cars running from the southwest corner of Lake Harriet. 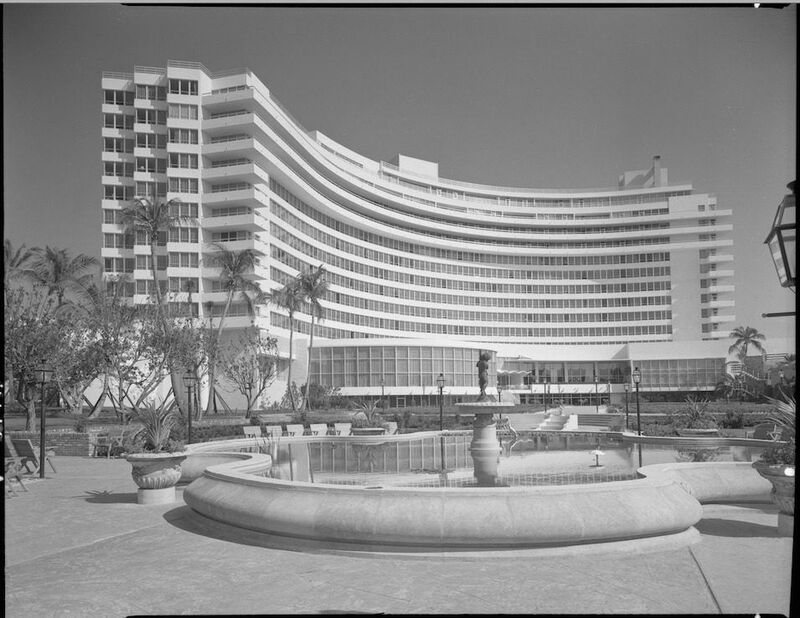 And if you are following Cann’s advice to “kiss off Minneapolis” and head south, be sure to check out the glamorous and refurbished Fountainebleau Hotel in Miami Beach. 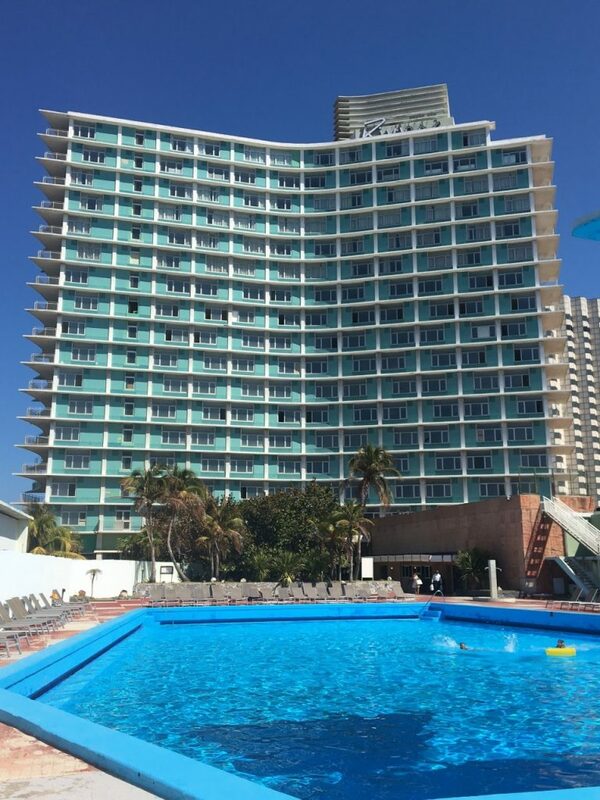 Or if Havana tops your bucket list, book the new MSP-Havana flights and be sure to drop into Meyer Lansky’s art deco treasure near the Malecon, now called the Melia Riviera Habana. You can frolic in the salt water pool for approximately $11 and believe it or not, that includes four drinks from the poolside cabana. After all, if these tropical getaways were good enough for Kid Cann and Sinatra, why not you? Retired after more than 20 years in marketing with United and Northwest Airlines, Tony has been published by Slant News, MinnPost, Minnesota Connected, Air Cargo News, The Forward, CNS Air Cargo Focus and the TC Daily Planet. As a result, he is a regular guest on the CBS Radio ‘Jordana Green Show’ in the Midwest. He has won a Silver Addy award in Advertising and launched United Cargo’s Friendly Skies ad campaign that is still running today.